Udupi, Aug 22 2018: A month after the demise of Hazel Mathias, her family in grief is still awaiting return of her remains. 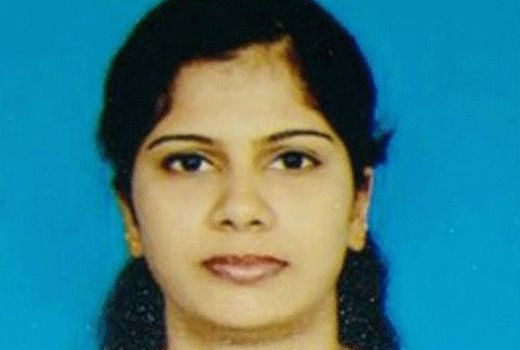 A native of Shirva in Udupi who was working as a nurse at a government-run hospital at Al Miqua in Saudi Arabia allegedly due to harassment from a Saudi national, the accused is said to have confessed to the crime. The police had arrested the accused earlier on the basis of the death note left behind by Hazel, before committing suicide in July this year, mentioned details of harassment that she had to suffer at the hands of the accused. The death note was written in both English as well as Konkani. As per court directions, the accused will now be given sentence in accordance with the Saudi law. Meanwhile, her mortal remains are expected to reach her native town only by month-end owing to the intervening five-day Bakrid holidays. Aged 28, Hazel was the wife of Ashwin Mathias from Udupi. She had last spoken to him on July 19 before she was found dead under mysterious circumstances.